Our goal is to assist patients in functioning as independently as possible while they enjoy the comfort and peace of mind of remaining in their own homes. We're here to help each of our patients whether it's for a short period of time followings a surgical procedure or on a long-term basis due to a chronic condition. Once your physician approves home care management as a good choice for you, we'll work closely with you, your physician and your family members in developing a personalized home care treatment plan just for you. 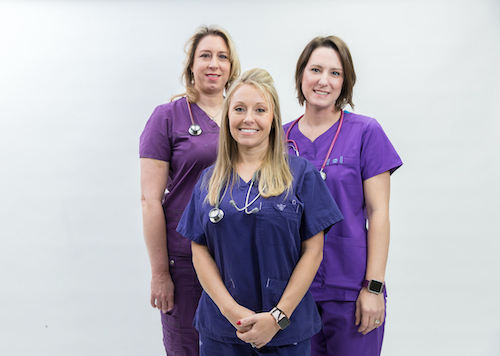 Your home health team consists of dedicated skilled nurses, trained therapists, and certified nurse aides all working together, helping to restore you health and quality of life. Skilled nurses are available 24/7 for your wound care, IV Therapy, medication administration, aodyne therapy, and injections. Certified nurse aids, physical therapists and other trained health care therapists are available to assist in your care as well. It all depends on what is best for you. We are a certified Medicare and Medicaid provider. Private insurance, self-pay and Workers' Compensation are also accepted. Your inquiries are welcome and we look forward to serving you.